„Our children and old people are dying. We need the government to take action, so that we can go back to our villages“. says Kisompo Selemani chief of the Twa at Kilunga refugee camp. 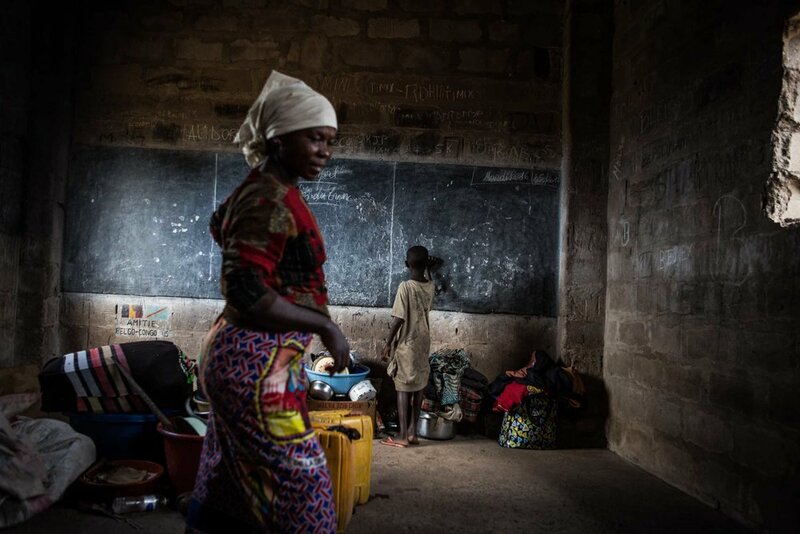 The DRC has one of the highest numbers of internally displaced people worldwide. According to the UN, nearly half a million people were displaced in the southeastern province of Tanganyika between July 2016 and March 2017. Villagers fled their homes there to escape intercommunal fighting between Twa pygmies and Luba, a Bantu-speaking ethnic group. Around 250,000 internally displaced people are now living in refugee settlements in and around the city of Kalemie, the capital of Tanganyika province. The majority of them have limited access to healthcare, and face extreme shortages of food, water and shelter. The mortality rate for children under five is equivalent to that expected during the acute phase of an emergency. But people here have been living in these conditions for months. MSF undertook an assessment in April and found that the mortality rates of children under 5 are those we would expect to see in the acute phase of an emergency. However, people have been living in these conditions for months. I documented the life of these refugees while accompanying Doctors without Borders, who are currently providing emergency assistant in several camps in Tanganyika.